VOX Cape Town aims to promote South African choral music by performing music by local composers. VOX also supports the genesis of new music to expand and invigorate the local choral repertoire. To demonstrate its commitment to contemporary South African choral music, VOX intends to commission new music from local composers on an annual basis. For further information about singing these works with your choir, or if you would like to make contact with one of the composers or authors, email us hello@voxcapetown.com. On World Environment Day (5 June 2018), VOX Cape Town performed “long-distance” at the Eco-Logic Awards held in Tshwane, South Africa. This ceremony, rewarding individuals, organisations and communities that contribute positively towards a sustainable world, opened with the premier recording of “Molweni”. This specially-commissioned choral work, composed by Grant McLachlan, was a setting of a poem written by David Parry-Davies, editor of The Enviropaedia. The aim of this work was, in David’s words, “to put appropriately beautiful sound to these words that will create feelings and sensations of joy and exquisite beauty associated with our beautiful and precious Earth”. Help us to spread these exquisite sounds and sentiments! VOX Cape Town’s first commissioned choral work was a South African-flavoured Christmas carol. Maike Watson set to music a poem written by Margaret Kollmer entitled “Christmas in Africa”. 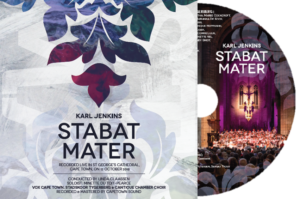 This work was premiered at the Festival of Nine Lessons and Carols in December 2017 and was also broadcast on Fine Music Radio on Christmas Eve of that year.